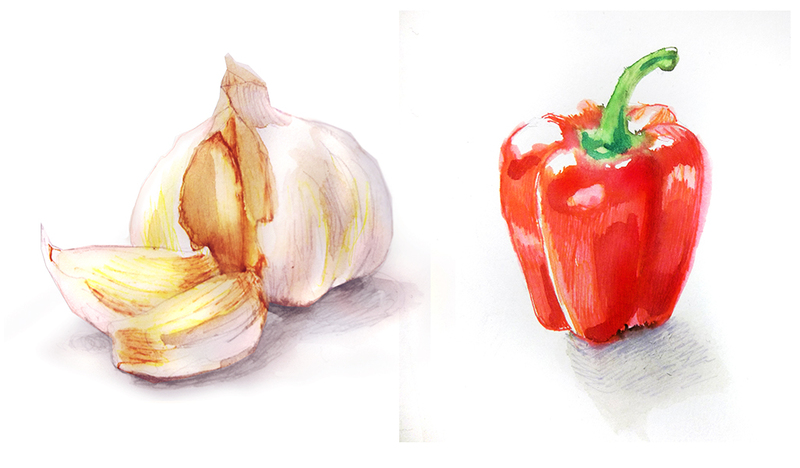 This entry was posted in Watercolor and tagged garlic, peppers, recipe, vegetarian. Bookmark the permalink. beautiful paintings, i love the tone.